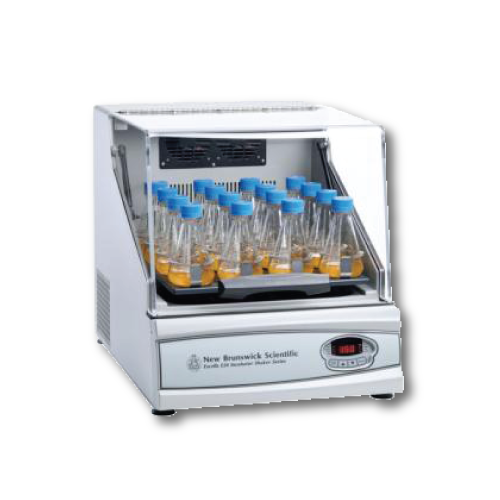 Eppendorf New Brunswick Excella incubating shaker provide advanced features and excellent performance at an affordable price. With an incubation temperature up to 60°C, the Excella models feature heavy-duty drives, providing long life and quiet operation under moderate loads and a variable speed from 50 rpm to 400 rpm. A wide variety of interchangeable platforms, clamps, and test tubes provide expansive levels of flexibility.